Metastatic prostate cancer. Coloured positron emission tomography (PET) scans of a 63 year old with metastatic prostate cancer. The areas of cancer are bright white. The cancer has metastasised (spread) from the prostate to a rib. The causes of prostate cancer are not known, but it is most prevalent in men over 50 years of age. Treatment is with radiation, chemotherapy, hormone therapy, or surgery to remove the prostate. 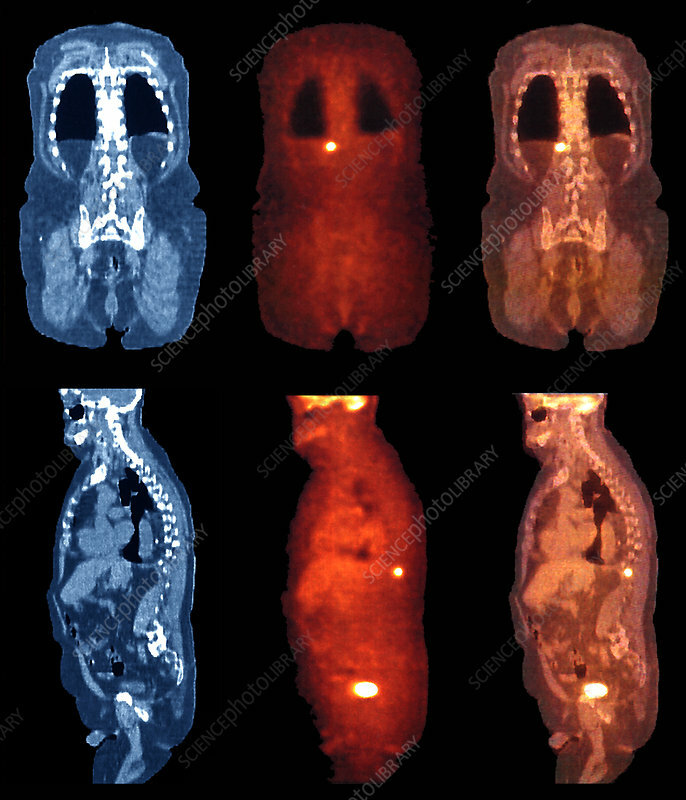 PET scans use gamma camera to detect radioactive tracers injected into the blood that accumulate in areas of high metabolic activity, such as cancer cells.